When an area has a colorful past, you know you’ll learn some fun stories at the local history museum. Illegal casinos…health resorts for the wealthy…winter home to the circus…water that made you feel good. We found out about all of these things, including what was in the water that made people feel so good, at the French Lick West Baden Museum. Where did French Lick get its unusual name? When Chef Louis Perrin of the French Lick Springs Hotel ran out of oranges one day in 1917, he substituted pureed cooked tomatoes, with added water, salt, and sugar. The beverage was well received, and it wasn’t long before the drink was produced in local factories. People not only soaked in the mineral springs; they also they drank the water. Rich in sodium sulfate and magnesium sulfate, the water acted as a laxative. Not only did it clean a person out, a person felt relaxed after drinking it. 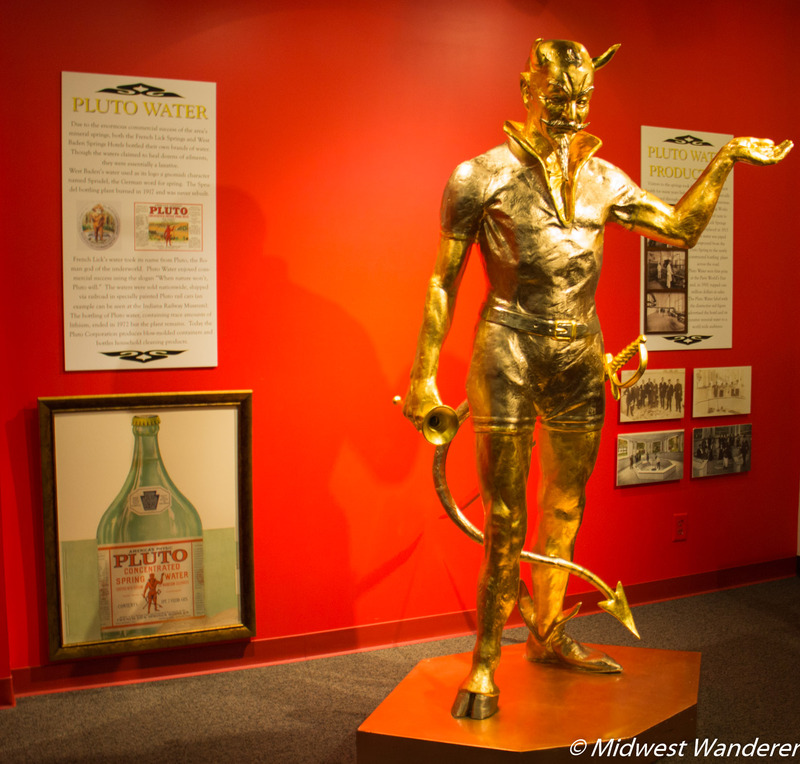 The Pluto Water Company bottled the water and sold it across the country until 1971. That’s when the government tested the water and found it also contained lithium, an antidepressant. The lithium occurred naturally in the water, but because it’s a controlled substance, the water could no longer be sold. 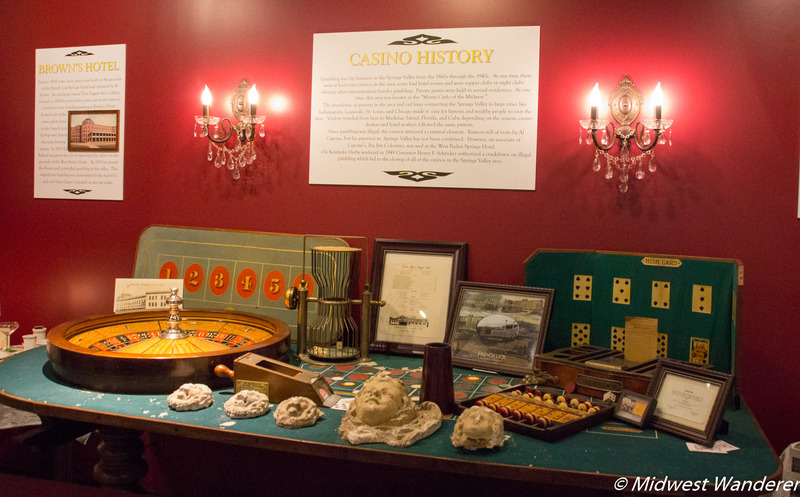 From the 1860s through the 1940s, illegal casinos were prevalent in the French Lick and West Baden area. At one time, there were at least nine casinos. Government officials looked the other way—most likely while holding their hands out for bribes—until the late 1940s. On Kentucky Derby weekend in 1949, a huge gambling weekend, the Indiana governor authorized a crackdown on illegal gambling, and all of the casinos in the area closed. Today there is only one casino, the French Lick Casino—which is legal. When the current casino was built in French Lick, two statues, the trademark of Pluto Water, were placed on either side of the door. Casino management removed them, however, when people complained that they didn’t want the devil watching them gamble. Today the statues are on loan to the museum, but the French Lick Resort, who owns them, use them occasionally for special events. Ed Ballard, one-time owner of the West Baden Springs Hotel and owner of several area casinos, also owned six circuses. The largest, the Hagenbeck-Wallace Circus, was actually larger than both Ringling Brothers and Barnum & Bailey. The circus wintered in nearby Peru, Indiana. Ballard would often hold a circus under the great domed atrium of the West Baden Springs Hotel. He sold the circus to John Ringling in 1929. Five weeks later, the stock market crashed. 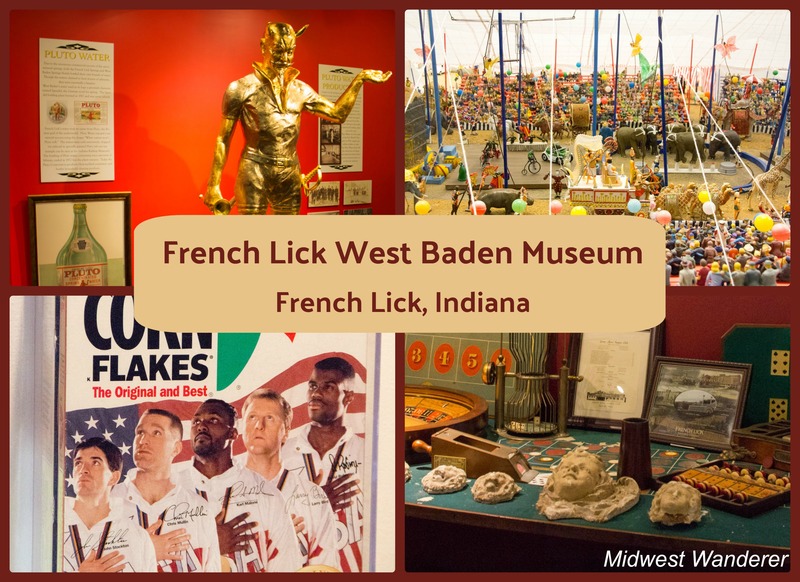 The French Lick West Baden Museum is home to the world’s largest circus diorama. 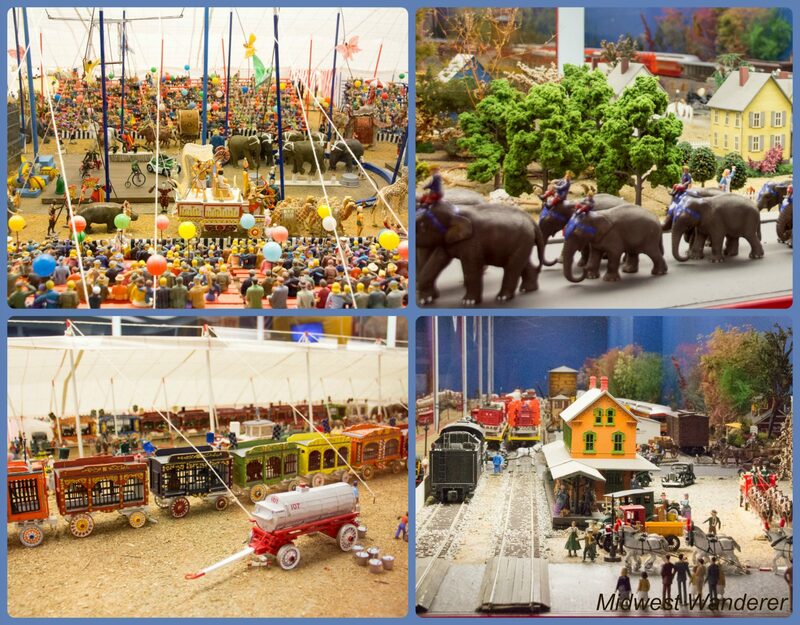 Canadian decorator Peter Gorman built the diorama, which depicts the Hagenbeck-Wallace Circus, over a 60-year period. The diorama includes more than 150,000 detailed pieces. French Lick and West Baden were popular for professional baseball spring training. The teams came for the healing and relaxation the waters provided. The West Baden Springs Resort included a two-floor velodrome and a baseball field perfect for training. (The velodrome and baseball field no longer exist.) The teams would sometimes play scrimmage games against local hotel teams. The hotel teams were comprised of African-American workers who came up from the south seasonally to work at the resorts. At the time, the resorts were open only during warmer months. 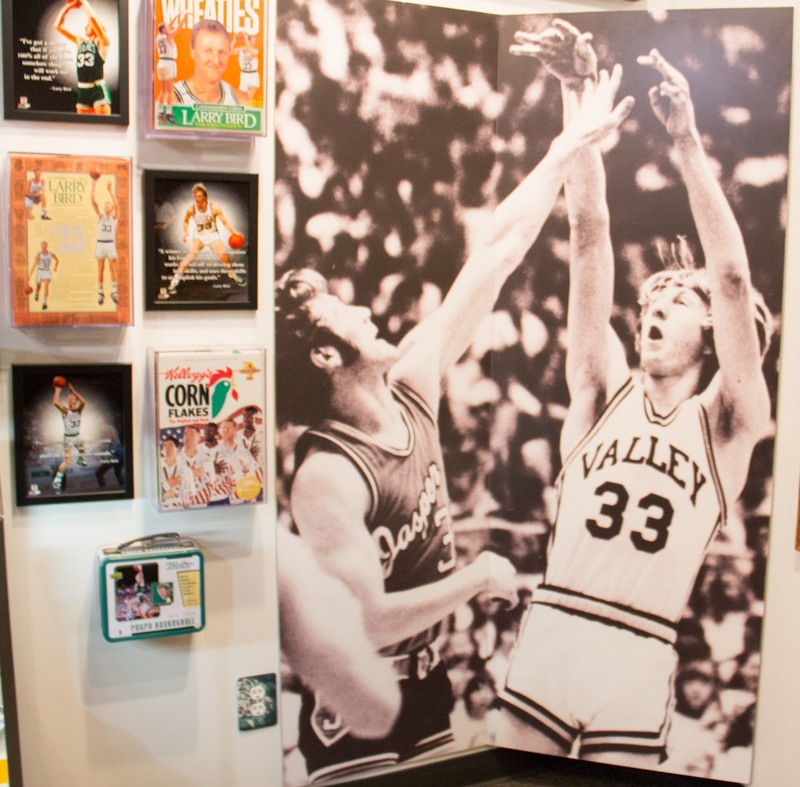 The large photo of Larry Bird is from his high school days playing at Springs Valley High School. 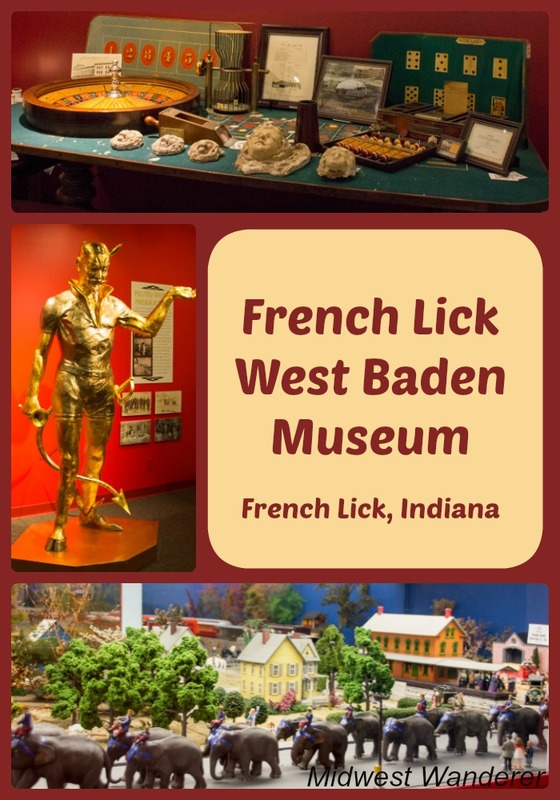 The French Lick West Baden Museum is chock full of these kinds of fascinating facts about the area. The museum, located at 469 S Maple Street in downtown French Lick, Indiana, is open Monday to Saturday, from 10 a.m. to 4 p.m. (closed Sundays). Holidays vary. Check the website for further details. Disclosures: Visit French Lick West Baden hosted our visit to the French Lick West Baden Museum. Our admission was complimentary. However, any opinions expressed in this article are my own. 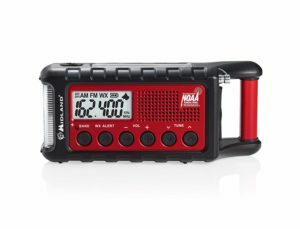 This article contains an affiliate link. If you book at room through the TripAdvisor link above, I will receive a small commission, at no extra cost to you. 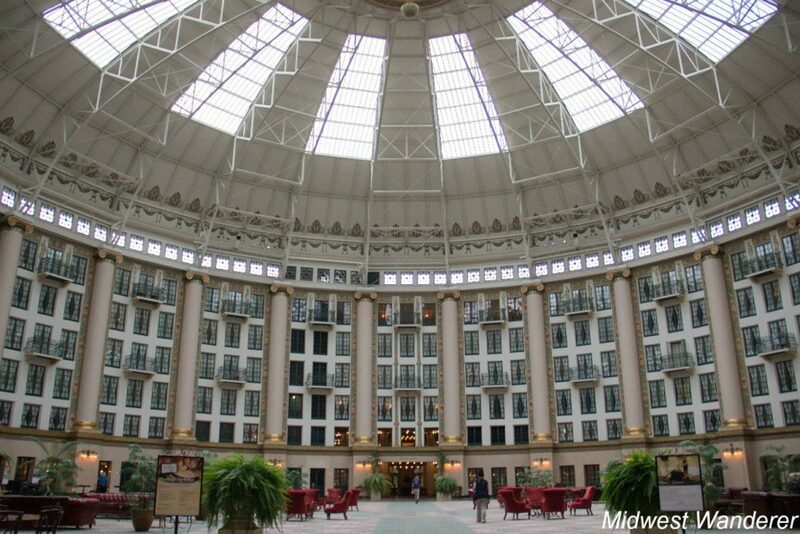 The West Baden Springs Hotel looks AMAZING! It really is. 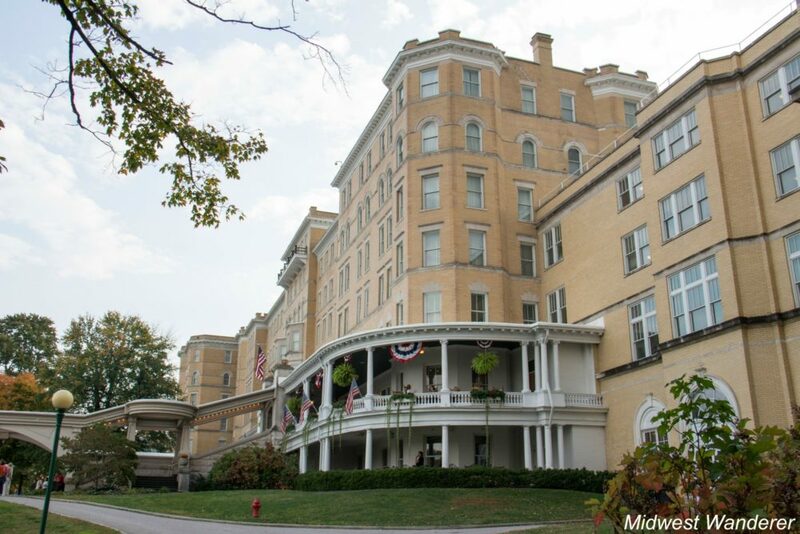 Even if you don’t stay there during your visit to French Lick, you should take the tour. It is amazing. I attended the annual Chocolate Festival, which is just as amazing. You should try that.